Want to get an Amateur Radio license or upgrade? Want to help others get licensed or teach using ham radio? Looking for public service training or serving as part of ARRL’s ARES field training team? You can even arrange an Amateur Radio contact for your students with the International Space Station! Why Should I Get Licensed? List your 2018 (and beyond) ARRL Volunteer Examiner Coordinator (VEC) sponsored exam sessions quickly and easily using our online form. Registering well in advance of the exam date ensures the information reaches potential candidates! The FCC question pool for Technician Class license exams has been revised and will be effective for exams conducted on or after July 1, 2018. ARRL will produce new study materials in preparation for the new exam. Manuals will be available the first week of June at the ARRL store. 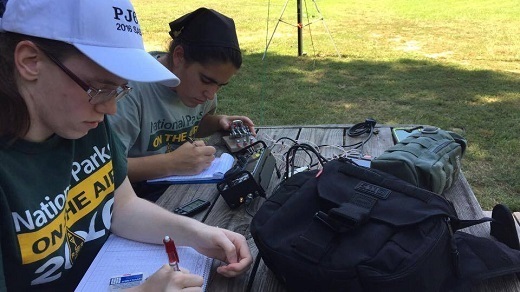 Volunteer Examiners (VEs) are licensed radio amateurs holding a General Class license or higher, who offer their time to administer the FCC licensing tests.